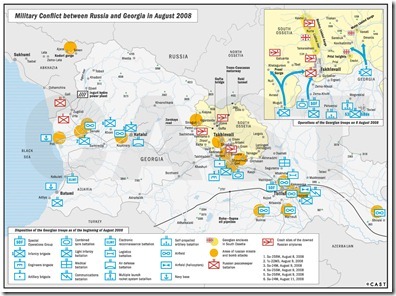 The Center for Analysis of Strategies & Technologies, a Moscow-based think tank, has published a comprehensive report on the 2008 conflict in Georgia, aptly named “The Tanks of August”. The first essay looks into the transformation of the Georgian armed forces under President Mikhail Saakashvili and details Tbilisi’s key preparations for the war. The second and central essay offers a detailed timeline of the hostilities. It draws on a wide range of sources, from official chronicles and statements to recollections of the eyewitnesses on both sides and Internet reports. 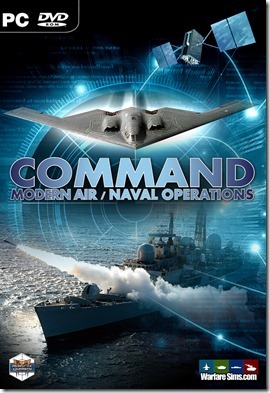 The timeline contains detailed descriptions of all the key combat operations and episodes during the war. 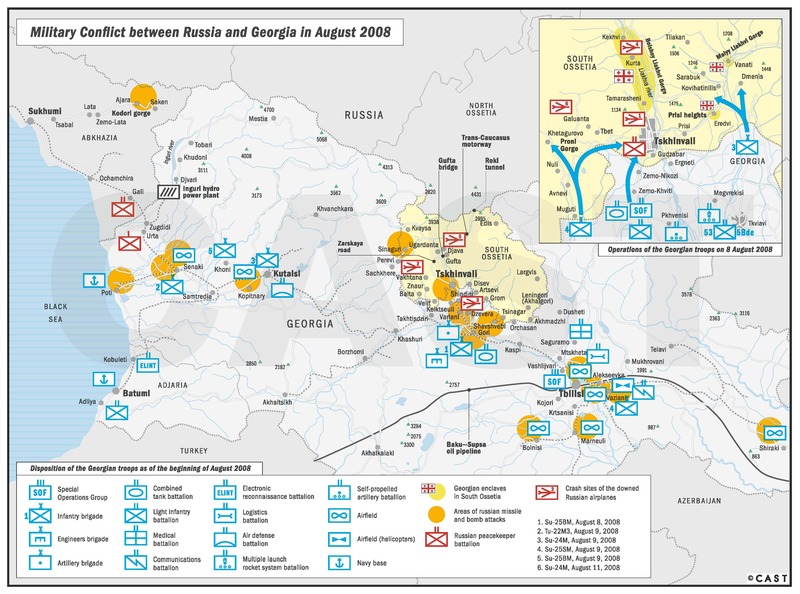 The third essay analyses Georgia’s efforts to rebuild its military machine since August 2008, as well as the existing military situation and the balance of power in the region. The four remaining chapters look into several individual aspects of the Five Day War, including combat losses on both sides, Russian aviation losses, and the post-war deployment of Russian military bases in Abkhazia and South Ossetia, now recognized by Moscow as independent states. The Annex details in chart form Georgia’s procurement of heavy arms and military equipment in 2000-2008. The report can be freely downloaded from the CAST website, here.